Any size, Anytime, Anywhere. Call today for details! 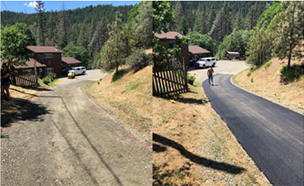 DOES YOUR DRIVE WAY NEED A FACELIFT? 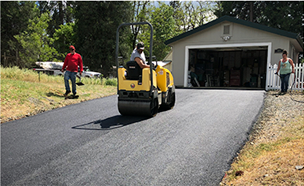 If you’re thinking of repaving your driveway, make sure you have all the information before you decide. Contact us today for your free estimate. Speed and efficiency. That’s what all our clients look for. They want to know how long it’s going to take. They want to know when they can drive over their new parking lot. 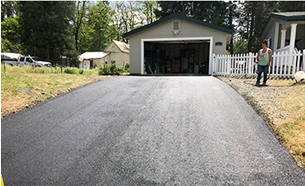 They want to know when they can show off their new driveway to their neighbors. The Davis’s treat each client with the same respect and the same promise. The job may be a $1,000,000 excavation for a subdivision or a $1,000 sealcoating for a private residence. Each Davis intuitively understands that one asset is more important than all the rest to their faith, to their family, and to their business—people. 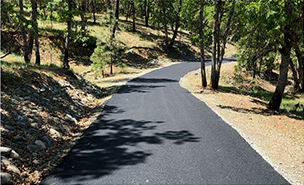 A. Davis Paving is a 4th generation, family-owned and operated company. It was founded by Edward Eugene Davis Senior back in Missouri. It began with just Edward and his old, beat-up truck. Back then, Edward couldn’t have known his business would relocate to New Mexico or California. He also couldn’t have known the torch would pass down to his son, then grandson, and now his great grandson, Austin. Perhaps forty years from now it’ll still be in the family. Wouldn’t Edward be proud to know the legacy he’s left behind? Only recently the torch passed to Austin Davis, now 19 years old and soon to be married for the first time. (Congratulations, Austin!) Don’t let his age fool you. He’s as capable a boss as each man in the Davis line. If you ask him how long your project will take, he’ll give you the same answer his great grandfather gave all those years ago: “We’ll be in and out in a day.” You see, Edward built more than his company (which now boasts twelve employees and a warehouse full of cutting edge equipment). Edward built a place he could teach his sons the benefits of hard work. A place in which his grandson could learn the value of a dollar. A place in which his great grandson could learn the strength of his Christian faith. Those lessons have supported the family, and the business, through what would have otherwise been lean years. During the economic downturn, for example, the company migrated to Nevada where they laid black tops for goldmines. The Davis’s don’t fear hard work or change. They operate with a strength of conviction which would make the Pope jealous. 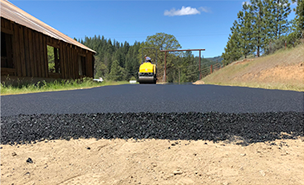 We proudly offer professional paving services to the following counties in Northern California: Shasta, Trinity, Humboldt, Tehama, Glenn, Butte, Lake, Del Norte, Mendocino, and Siskyiou Counties. Incredible work. I highly recommend A. Davis Paving Company! They did a Fast and awesome job! Can’t wait to have them do more work! Absolutley love our new asphalt! Great work and great crew! 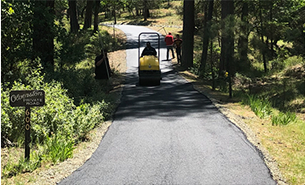 A. DAVIS PAVING CO. INC.